For many teams, this process includes external collaborators like partners, clients, and vendors, all of which need secure access to review assets. This drives the need for a flexible solution that can be configured to match your team’s workflow. Let’s take a look at the features in today’s release and how they can help you. From today, users of Ziflow can sign-up or be invited to multiple accounts using the same email address. Organizations and agencies who manage multiple Ziflow accounts (one account for them and one each for their clients) are no longer required to use unique email addresses to sign-in to separate accounts. Users can also be assigned unique roles in each account. Ziflow users that belong to multiple accounts will now have the ability to switch between accounts while logged in to the application, while still being able to review the proofs shared with them regardless of the account they're in. 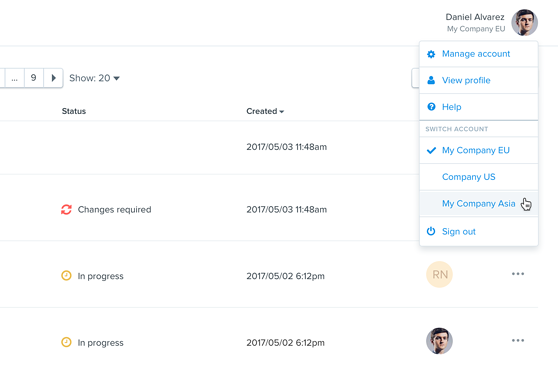 Additionally, if a user has a minimum of a Manager role, they can view and manage all that particular account’s proofs. This enhancement drastically reduces the effort required to manage multiple Ziflow online proofing accounts. Until today, securing a proof has been limited to registered users of Ziflow which require them to sign-in to access a proof. When a team is sharing hundreds of proofs a day amongst thousands of occasional reviewers, the effort managing reviewers' user accounts become very time consuming and onerous. From today, customers on the Enterprise edition can now securely share proofs not only with users but also with guests (reviewers that do not have a Ziflow user account). 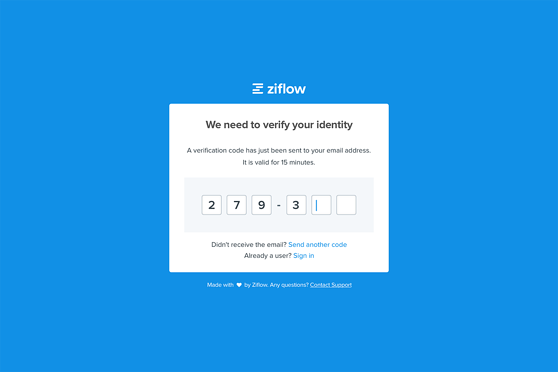 When a guest accesses a secure proof, Ziflow will generate a unique token and email it to the reviewer. This enhancement also solves a common problem of reviewers forwarding on their proof URLs, and comments then appearing as the original reviewer. When the recipient of the forwarded URL attempts to open the proof, a new unique token will be generated and emailed to the original guest reviewer and thereby block access to the proof. @mention anyone on a proof: a new account setting which allows users to @mention anyone on a proof, not just reviewers in their stage. This is useful when a reviewers needs to grab the attention of a team member present on another stage. Hide the decision button: partners that integrate Ziflow might have their own decision button. A new account setting has been made available that will permanently hide the decision button in the viewer. Text annotation tags: when using the text annotation tools, tags are displayed in the comment window adding further clarity and precision in your comments. ‘Stages’: displays every stage and the status for each. ‘My decisions’: displays your decision on each stage where you are set to make a decision. ‘Version’ - displays the current version of the proof. When email branding is enabled, Ziflow and our social links will be removed from the footer of emails. Ziflow API: a “pass-through-value” can be provided when creating a proof that will be returned with the webhook events. These new capabilities are live in the product now. Current customers, and those on 14-day trials can start taking advantage of them right away. If you haven't yet tried Ziflow, there's no better time to check out the industry's best online proofing solution. Anthony is the co-founder and CEO of Ziflow.